I had the Christmas song Away In A Manger come to mind tonight and I just had to share this insight from God with you. I may even use this as the basis for my sermon I will be presenting in Montana in two weeks. 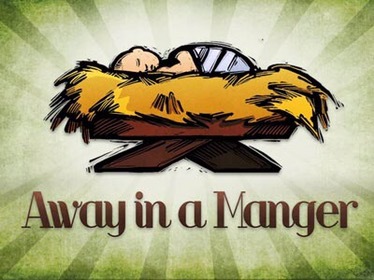 Away in a manger, no crib for a bed. The world wants to shut out Jesus and His message. They don’t understand that there is no condemnation in Christ Jesus. The world believes that He wants to call out their sin. And to be honest, He does, but He wants to call it out to take it away. 1 John 1:8-9 says, ‘If we say we have no sin, we deceive ourselves and The Truth is not in us. But, if we confess our sins, God, who is faithful and just will forgive our sins and cleanse us from all unrighteousness.’ The World doesn’t want to talk about the idea that we need to come clean. The world wants us to believe that we can just do what we want. You only live once, so do what feels right. They want to put Jesus away in the manger. Tonight, God whispered to my soul a new way to look at this. A way in the manger. Not just a way, but The Way. Jesus Christ is meant to be the bridge between us and our relationship with God. When we accept Jesus Christ the bridge is made and we can be one with God. A way was truly in the manger that night. Accept Him this Christmas season and you will begin the most important relationship of your life.